Together five visionary artists transform the iconic Primrose Potter Salon into a post-pop-waste-wonderland for one intimate evening. Experience a synth-pop oasis with four of our finest electronic performers – Kristina Miltiadou, SIMONA, GERYON, June Jones and SaD, with immersive installations by artist Debris Facility. 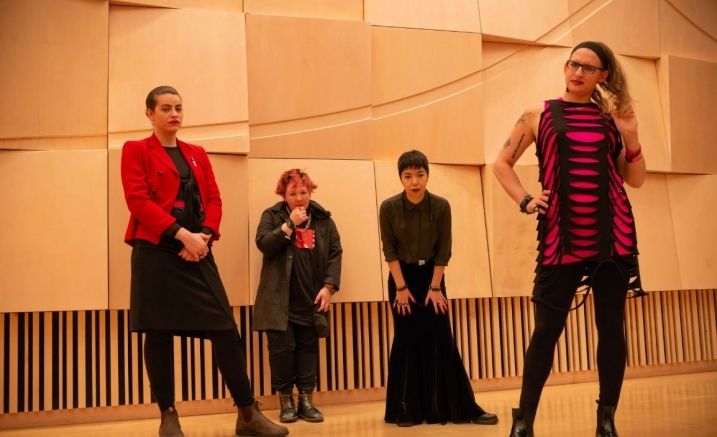 Dance with cute feels and queer catharsis; it’s the Salon as you’ve never sensed it – a re-imagining of the liminal space between pop music and architecture. Arrive from 7pm for DJ Airhorn Mami in the Foyer. Enjoy free music from DJ Airhorn Mamiin the ground floor foyer from 7pm.